Hope the kids are all better today. 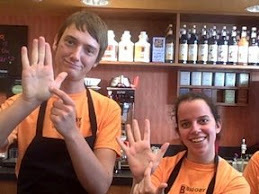 Good job Biggby staff. Way to Bee BIGGBY Union!! This is a nice story. Thanks Wendy for sharing it and thanks to the great people at the MSU Union Biggby. Taking care of children is its own reward. 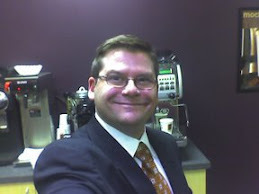 I am the staff (it was just me working that day) that was at Union Biggby that day and gave the kids ice. I was more than happy to help them and my heart broke for those children. They were in a lot of pain. I let the head teacher use our phone to call parents to let them know what was going on. She was very thankful for what I did for her. The next day, the teacher (Lori) called me at the store to thank the girl who helped her and the kids. I told her it was me that helped her. She was thanking me for what I did and telling me I was a godsend. I said I was happy to help them out and asked if the kids were ok. She wanted to tell my manager about me, so I gave her the number for our corporate office. She then called corporate to tell them about me and thank them for what I did for them. Corporate called me to tell me about what she said and thanked me too! I got into work Monday morning, and sitting on the counter was a gift bakset of cookies for me! They were shaped like bees and one cookie said "Thanks for 'beeing' there." I was touched they did that for me! How sweet!!! Way to go Union BIGGBY!! Poor kids! Hopefully they are all okay. Great job MSU BIGGBY! Thanks sincerely for being such a great representative of the BIGGBY way. Very glad to see that you got your just "desserts."